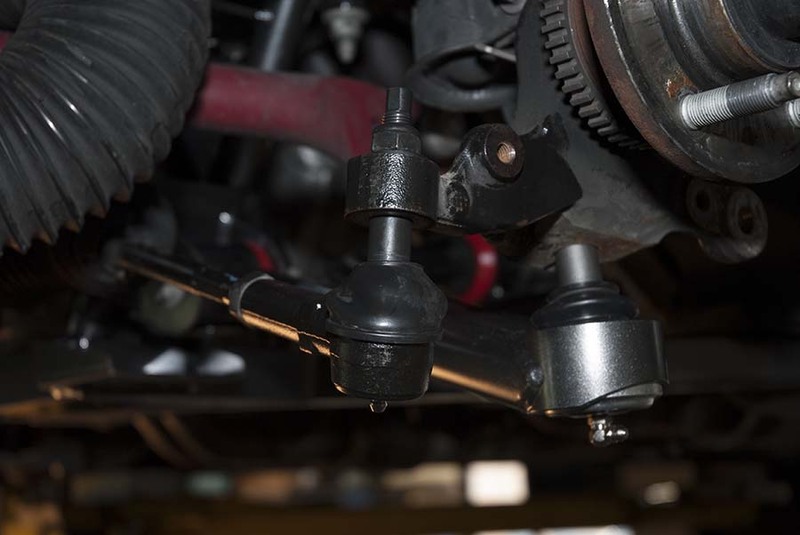 Kenny Brown now has their own S197 Bump-Steer Kit or Tie Rod Ends. These are a street version that do not add any NVH yet correct your steering bump geometry for lowered Mustangs. 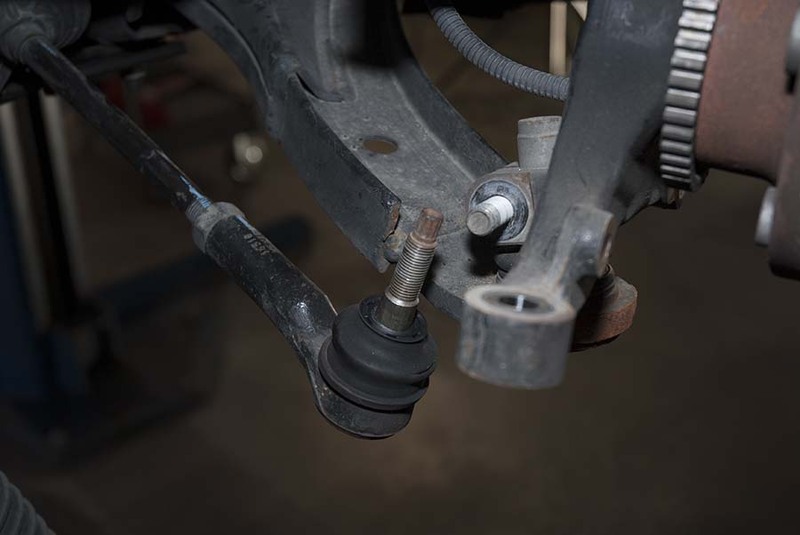 In my opinion any Mustang that is lowered needs new longer shaft tie rod ends. 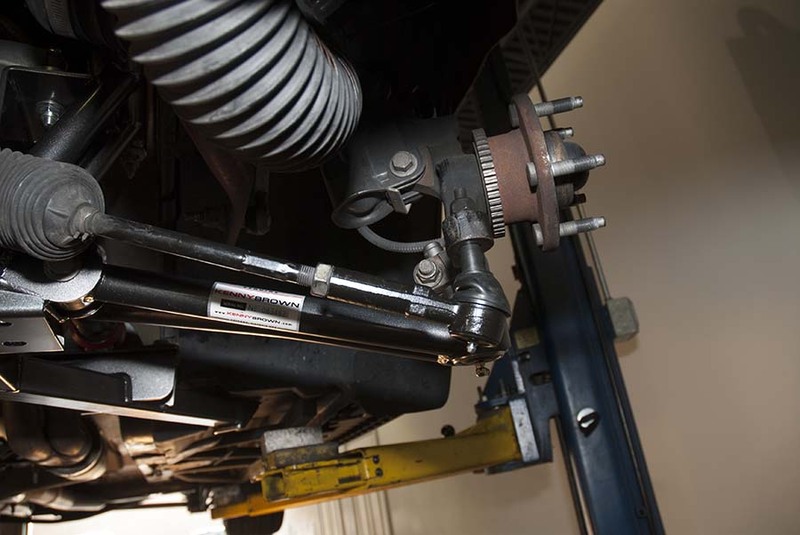 All lowered Mustangs that see autocross or road racing or just spirited street driving must have it for proper steering correction. 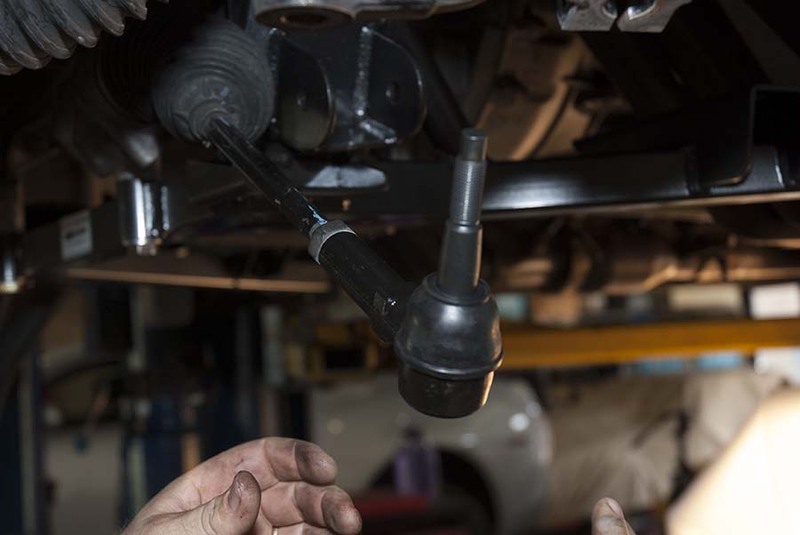 Most aftermarket bump-steer kits have noise rod ends and thus add NVH. These are forged to OE specs like the factory units only with longer studs, grease zerks assure long life. 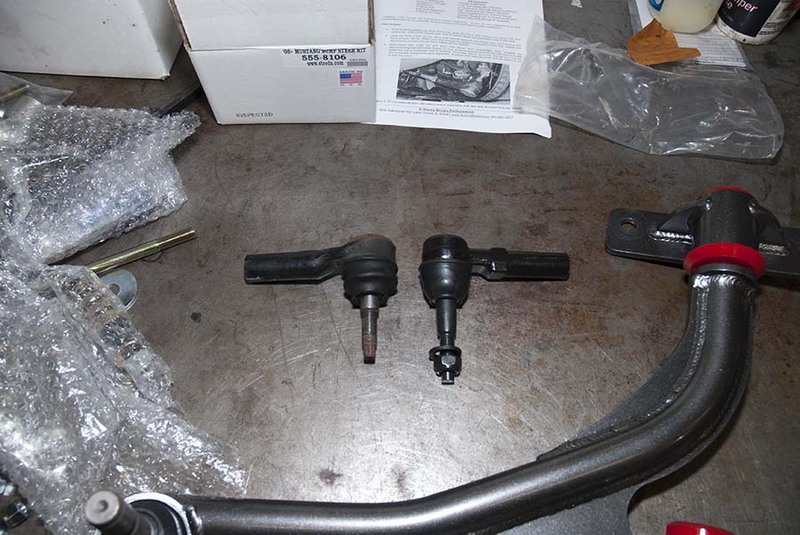 Here is a side by side comparison of the stock tie rod end and the new Kenny Brown Tie Rod End. Take the nut off and tap it a couple times with a hammer and it will pop right out. No need to use a puller. Your Mustang will need an alignment after this job. If you are more than one degree off then you will start to mess up your tires quickly. The new one just screws on then set the lock nut. 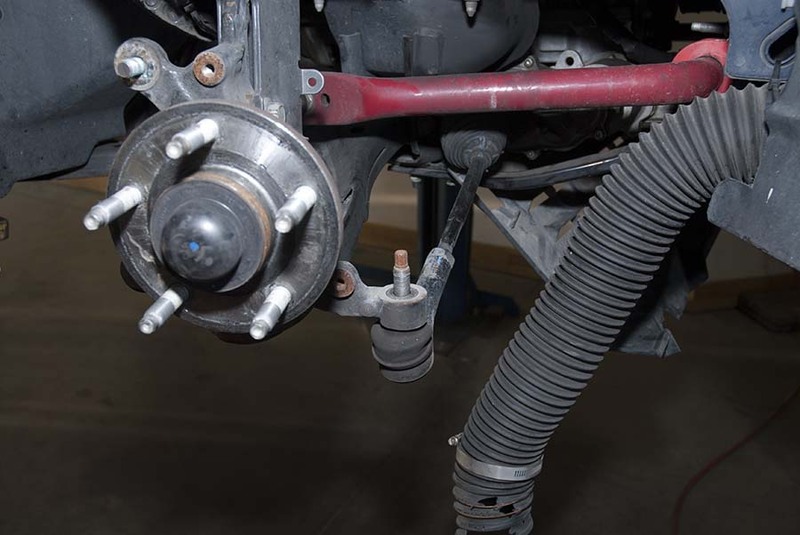 This angle lets you see that your steering rod will now be parallel with your control arm. This is the needed angle. I did the Kenny Brown Front Control Arm upgrade at the same time.